The Santiago Solar photovoltaic power plant lies around 50 km north of country’s capital, at the heart of the main centre of Chile’s electricity consumption. It consists of circa 400,000 modules and occupies over 200 hectares of land. The power generated by the plant is equivalent to the annual electricity consumption of more than 90,000 Chilean homes. 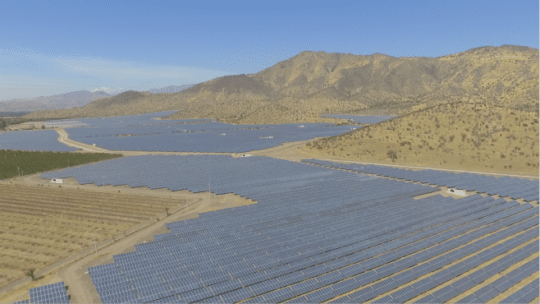 Santiago Solar holds a 15-year power purchase agreement (PPA) with Chile’s main distributors. Some of the electricity generated will be sold in the spot market. The facility is jointly owned on a 50-50 basis by EDF Energies Nouvelles and Andes Mining Energy (AME), a Chilean infrastructure developer. It is connected to Chile’s national electricity grid (SEN, Sistema Electrico Nacional). Chile boasts exceptionally high levels of insolation that rank among the best in the world. 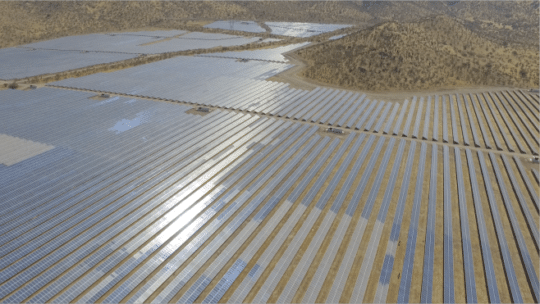 Santiago Solar is EDF Energies Nouvelles’ second large-scale power project in the country, following on from the 146 MWp Bolero photovoltaic plant, commissioned in 2017.